Excel Digitizing is a leading company in the industry more than 15 years. We work fast so that our customers can get the job done on time. The karmic cycle of high-quality business rejoice our customers and wins more work and admiration. We pride ourselves on our in-house professional team and constantly update and equip our workstations. All of these efforts make our 24-hour turnaround time more than just a promise. Quality and discipline are the symbols of our digitizing service and in order to make this happen, our team has put in the right amount of energy and effort. We are a multi-faceted team of embroidery digitizers, designers, IT staff and artists. This diversity, manifested in our final version, shines on our customers' fabrics and becomes the most popular digital embroidery service provider in the United Kingdom. Our expertise includes small letter embroidery digitization, sophisticated design, layered thread patterns, puff embroidery and 3D effects. In our service story, vector conversion requires a separate space. It's impeccable that we convert complex bitmap graphics into vector graphics and then set them all to show off our clients with amazing results. Why do you choose excel digitizing Services when many other options are available? 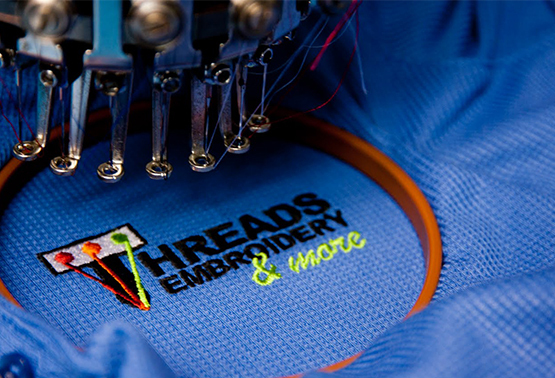 If you have an embroidery, screen printing or promotional business, or need embroidery digitization or vector conversion services, our price, quality and turnaround time can make a difference for you. When the product is flawless, on time delivery, you can learn about other goodies in your business. Flexible payment methods. You can pay according to your convenience and choice. We accept payment via PayPal. Credit cards, debit cards and wire transfers etc. What are you waiting for? No further delay, get a free quote now and start the journey! “Time is Money” and we know the importance of time for a successful business. That’s why we deliver our work in 24 hours with exceptional quality. The increasing number of technologies has meant that the businesses have more ways than ever to amplify the impact of their content. That’s why we use latest softwares like Wilcom, APS Eithos, Tajima DGML by Pulse, Wings XP to give up to date and quality service to our valuable customers. With a team of highly skilled digitizers, embroiderers and graphic designers from the world’s finest digitizing industry and an experience of around 15 years in digital art work, we are continually satisfying our clients by delivering perfection in all aspects of their digitizing need. Quality is our asset and we are serving our clients with our un-matched quality. We justify our prices by delivering extraordinary and fanatically machine friendly artwork.